When Ngāi Tahu sold their tribal land to the Crown they were promised reserves, hospitals and schools. But the reserves were tiny, and few hospitals or schools were built. Efforts to secure redress began in the mid-19th century. 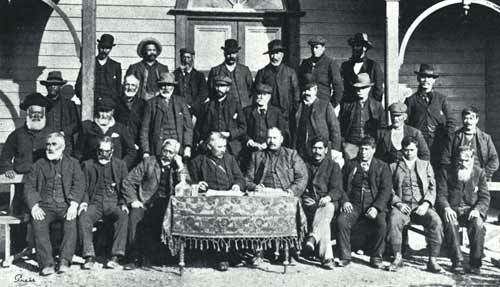 In 1907, these representatives from all the main Ngāi Tahu settlements gathered at Arowhenua to discuss their claim against the Crown.